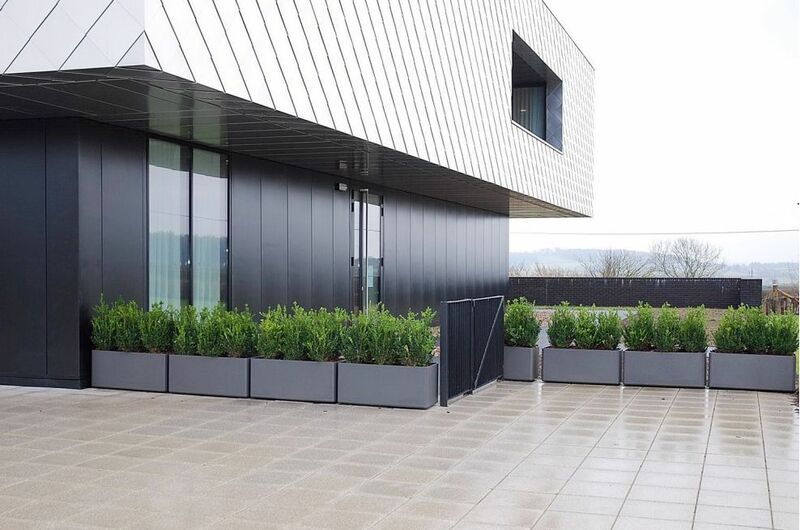 Large composite planters from IOTA’s Boulevard range feature at the striking new CircleBath private hospital. 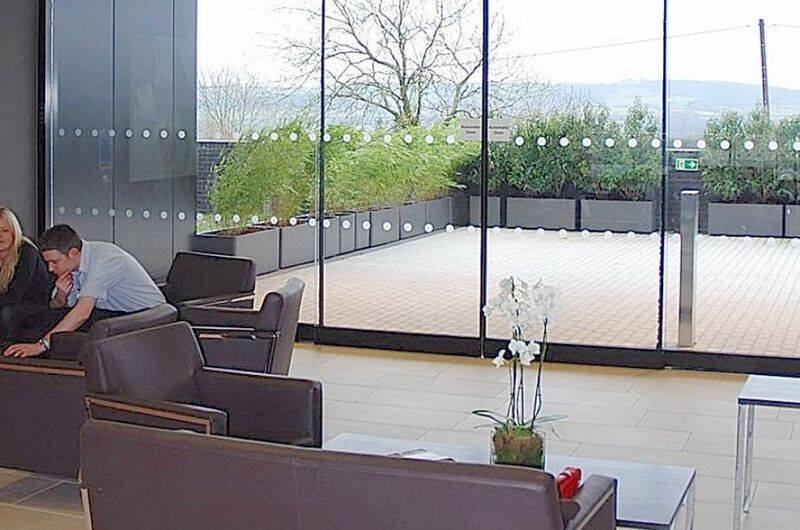 The planters are used principally to create a tranquil, screened space on the outside patio adjacent to the main reception point and café. 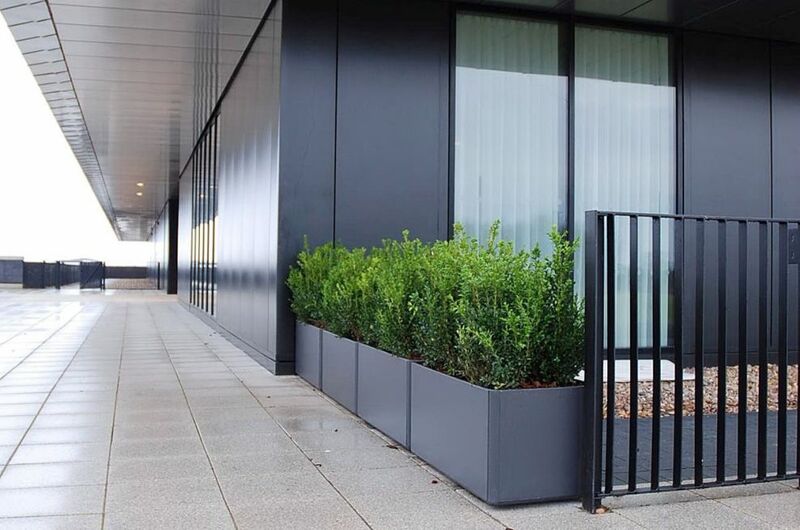 Further sets of planters are used to green the northern facade, and to signpost the route to the public entrance. 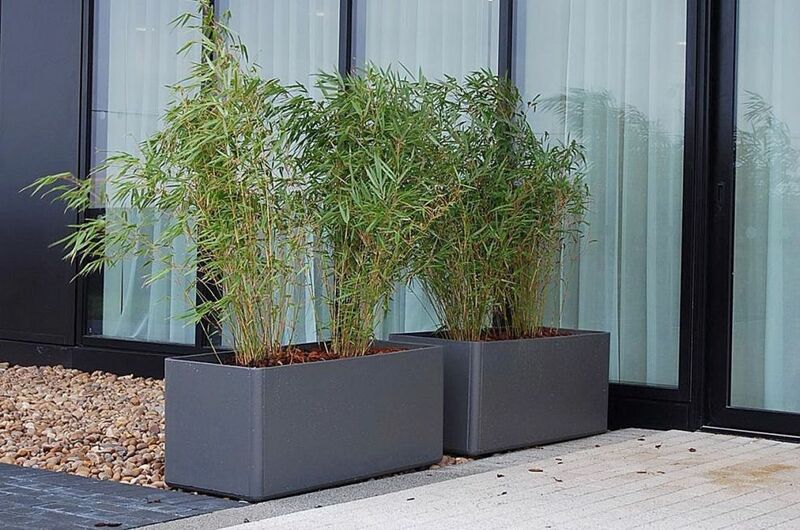 The planters used are the DELTA 45 Trough 100 and the DELTA 45 Square 45 from IOTA’s Boulevard range of high-performance, Fibre Reinforced Cement [FRC] planters. 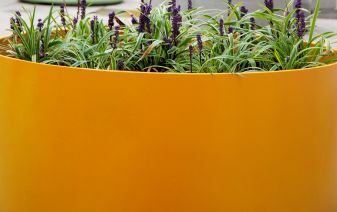 CircleBath is maintained by Urban Planters who specified IOTA’s planters for the scheme. 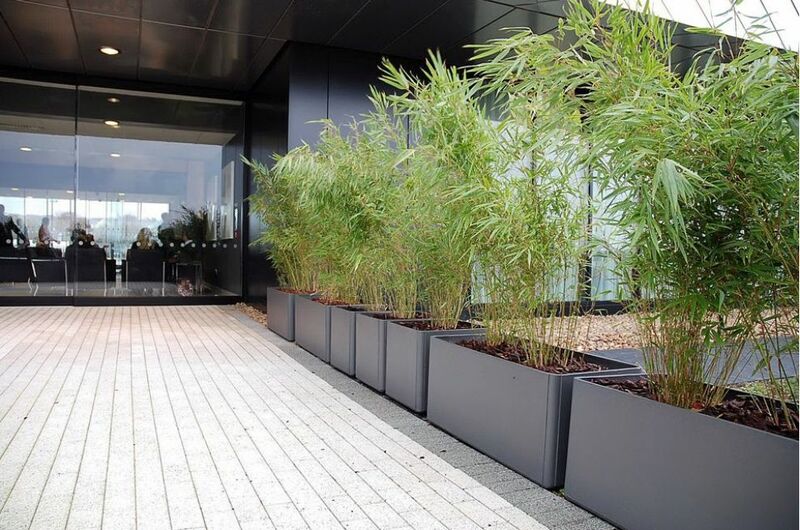 IOTA’s planters were specified for CircleBath by landscape architects Plincke, and were installed by Urban Planters who maintain the gardens at the hospital. 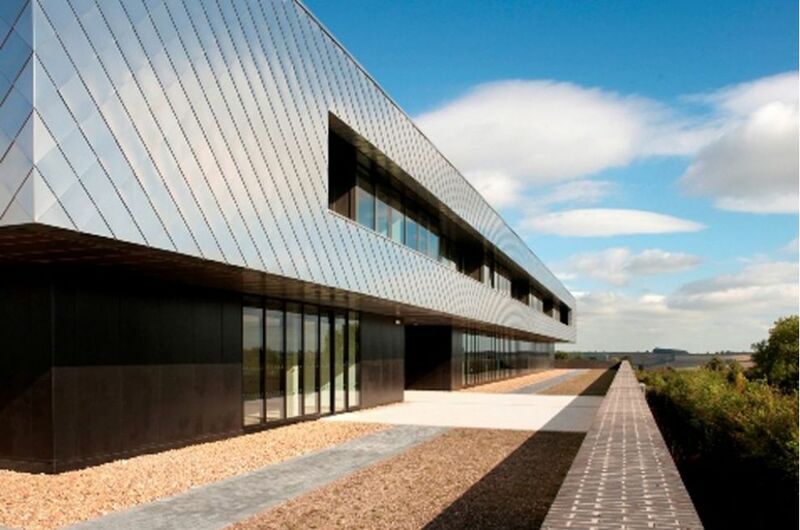 Designed by leading architects Foster + Partners, CircleBath is a £30 million, 28-bed private hospital southeast of Bath, opened in February 2010. 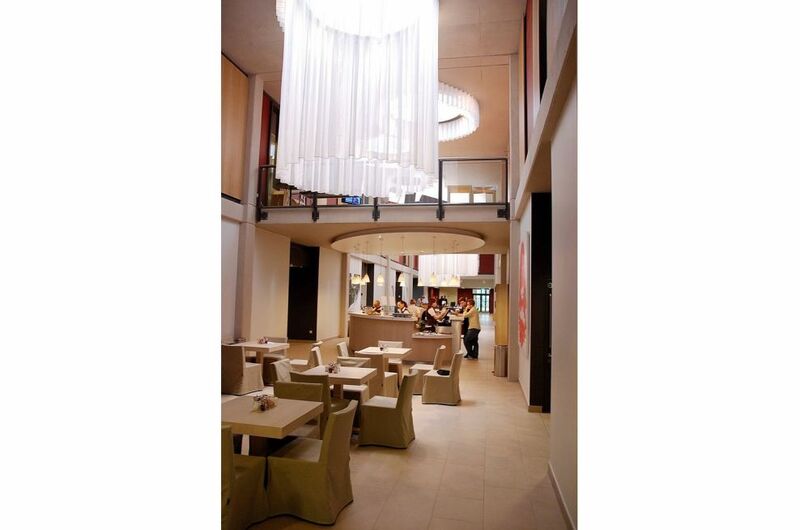 CircleBath is Foster + Partners’ first hospital, and the first in a programme of new independent hospitals commissioned by Health Properties for Circle – which is an employee-owned group of 1,200 clinicians and hospital workers organised along the lines of ‘John Lewis Partnership’, seeking to offer a radical departure from orthodox approaches to hospital planning.